Want to Inspire Kids to Move by being a part of an Innovative Fitness Program? Then we want you. Fly Movement is a Houston based innovative kids health program that provides students with fitness trackers. We need volunteers who enjoy working with kids and like physical activity so more kids can participate in our program. 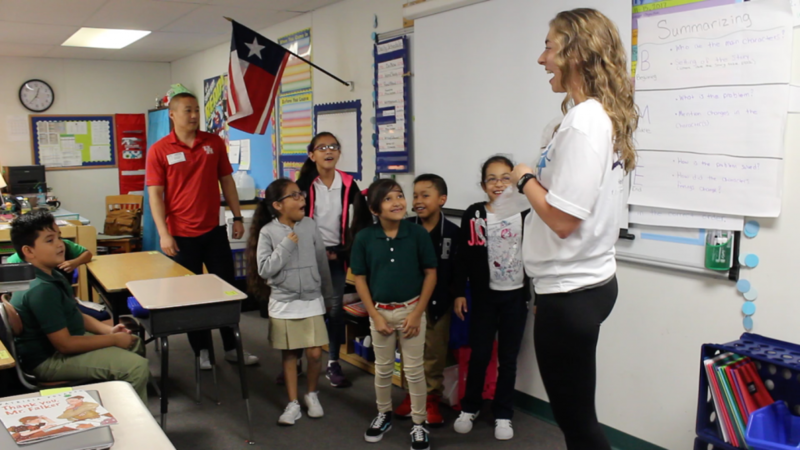 Meagan and Kevin asking the kids what are their favorite ways to move and by physically active? 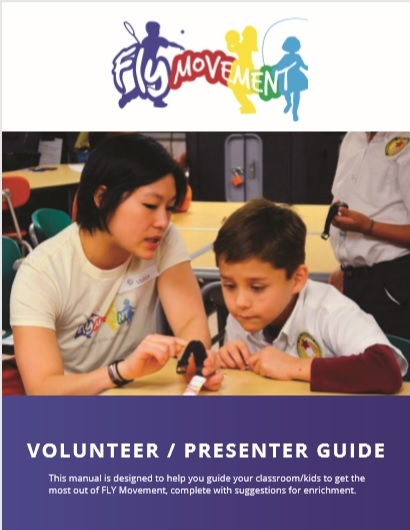 – join Fly Movement and visit the kids once every two weeks for 6 weeks (3 total visits). Each visit lasts 30 minutes.